The Quabbin (Swift River) Valley was part of the territory of the Nipmuc Indians. Quabbin means the meeting of many waters. By the 17th century their population had declined, decimated by war and disease, and the valley was rapidly settled by Europeans drawn by the abundance of water and rich farmland. Four towns were eventually established: Dana, Enfield, Prescott, and Greenwich. However, as was the case with England 125 years earlier, rural New England populations declined as people started moving east to Boston and other coastal towns in search of jobs. As a result, land values in western Mass declined. 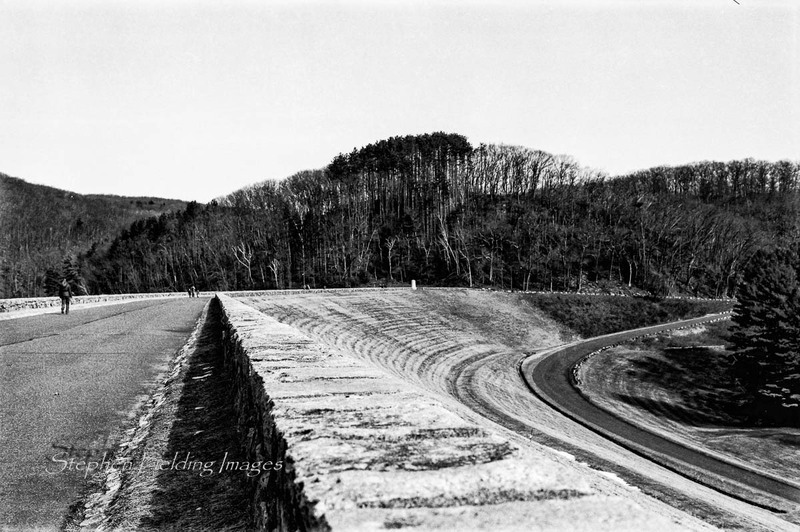 By the early twentieth century, a rapidly expanding population in the east required ever-greater water supplies, creating a new importance for the Swift River Valley as a primary water source. The idea was to dam the Swift River and Beaver Brook to flood the valley and create a reservoir. 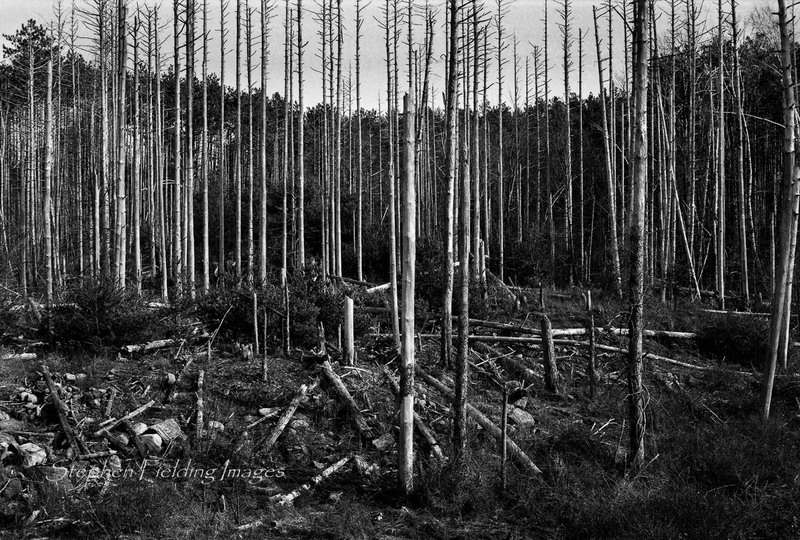 The Massachuetts Legislature passed the Swift River Act in 1927; using the right of eminent domain, the Commonwealth bought out the residents, and removed all buildings and vegetation over a period of years. 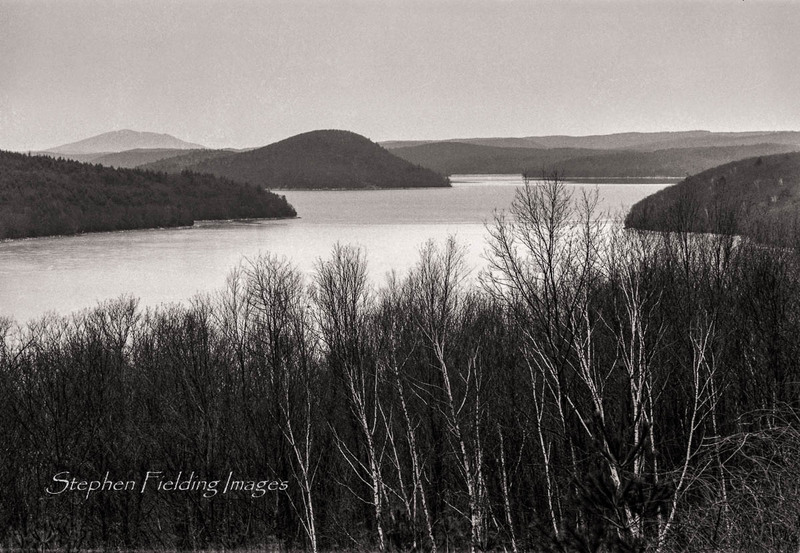 Quabbin Reservoir began to fill in 1939 and reached its capacity by 1946. The reservoir is about 18 miles long with 118 miles of shoreline (not including the islands). In many instances of dams and reservoirs, they not only alter the landscape, they are tinged with a confrontational if not violent history. However, on a positive note, since Quabbin is a protected area it provides a lush environment for fish, and other wildlife (not to mention it provides water to millions). photo. The area is nice to walk and provides a great view. polarizer filter to darken the sky above as I shot Sky Fire from the spillway, looking west. was the best. This stand of trees provides both a stark and aesthetic view of a micro environment. hours. Given less light, I set up my tripod so I could use a slow shutter speed with my 135mm lens to enable a smaller ƒ stop for good depth-of-field. The result is a nice, compressed, distant scene to the Northeast, shown in Life Substance. The islands are the tops of the area’s hills surrounding the valley. 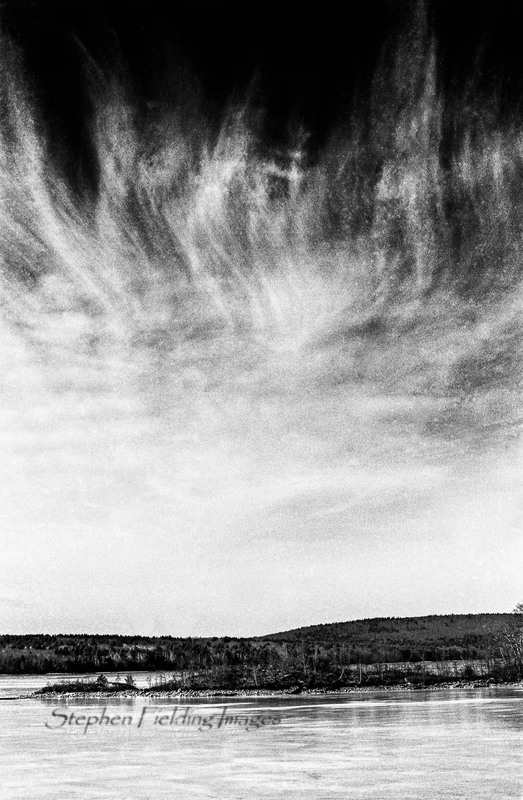 I only had about six hours to photograph Quabbin. I know there are a few people who photograph there regularly. I would be happy to hear about your experiences.